It was the late 1980s-early 1990’s, and when you grew up in Suburban Chicago, you’d stay up late on Saturday night and watch Saturday Night Live. One of my favorite SNL skits was Wayne’s World. How did I get hooked on Wayne’s World? For one thing, Mike Myers and Dana Carvey’s characters of Wayne Campbell and Garth Algar were from my neck of the woods (even though they were supposed to be from Aurora, Ontario). They made me laugh. They made me think. They made me smile. When I grew up, I wanted to be like them. 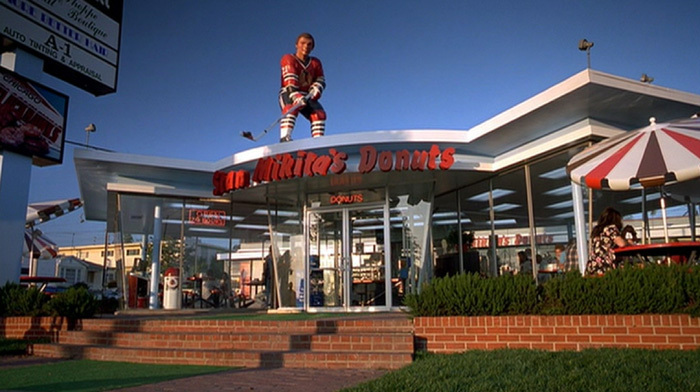 I even wanted to hang out with them at Stan Mikita’s Donuts (which is actually Tim Hortons in real life). And when they appeared on Saturday Night Live’s 40th Anniversary Special that aired tonight on NBC, it just rekindled all of those memories. In college, I bought the Wayne’s World “Schwing! Schwing!” DVD, which contained both Wayne’s World movies. But what does this have to do with hockey? 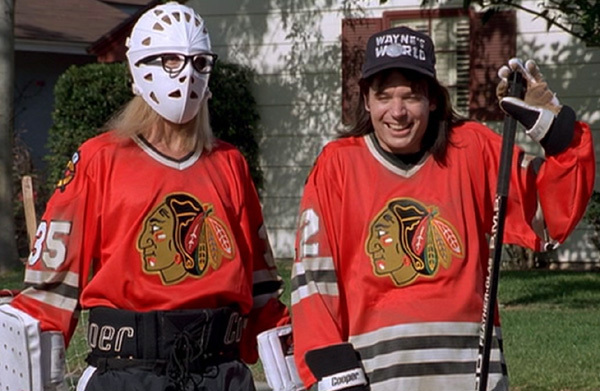 Wayne and Garth played street hockey. They hung out at Stan Mikita’s Donuts. 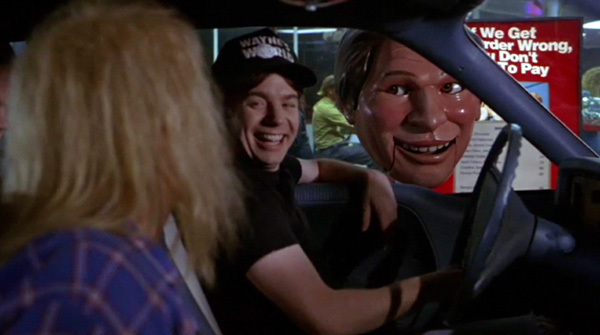 There’s actually a story from 2009 on how Mike Myers actually lured the Chicago Blackhawks legend to be in the first Wayne’s World film (click here for the rest of the story). And yes, they even hung out with Wayne’s namesake: The Great One, Wayne Gretzky. The impact of the sketch became a part of the fabric part of my being. 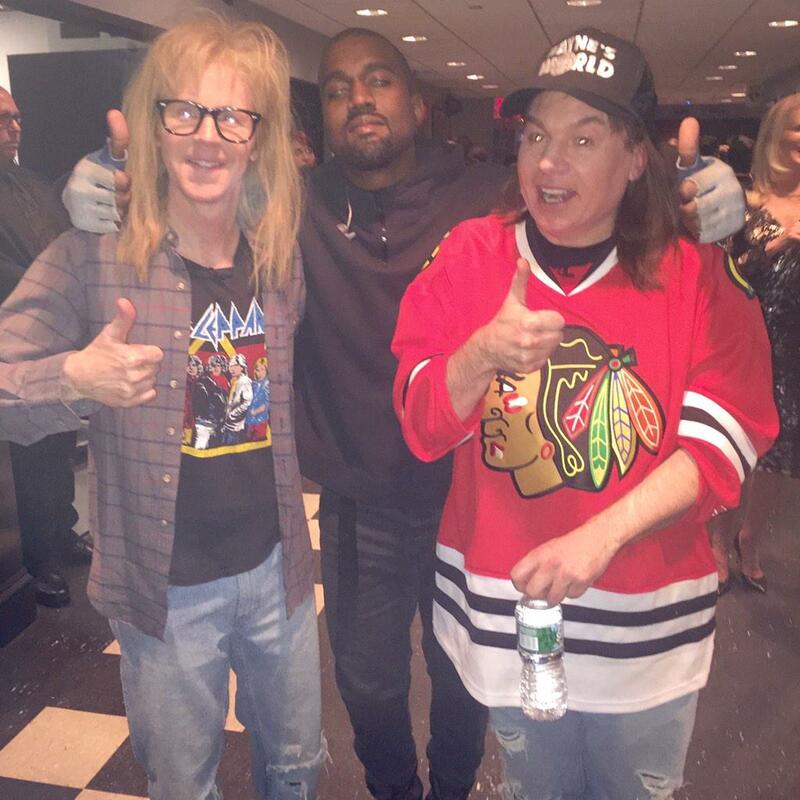 After the skit, Wayne and Garth hung out with both Kanye West and Kim Kardashian. 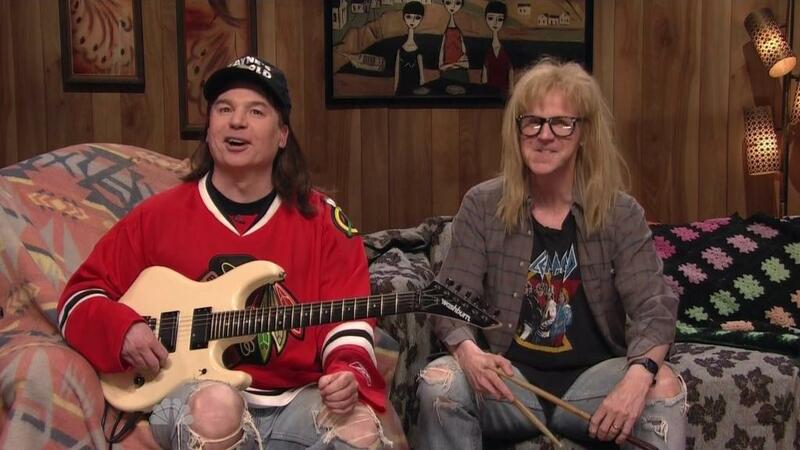 The last time the world saw Wayne and Garth before tonight was when Dana Carvey hosted SNL in 2011. Even before that, their last appearance was at the 2008 MTV Movie Awards, where Myers was the host. It has been over 20 years since Wayne’s World 2 came out in theaters. It’s about time Wayne’s World 3 comes out on the big screen. I still wonder if Wayne and Cassandra (played by Tia Carrere) become parents or if Garth finally gets a girlfriend. There are questions from fans like me that desperately need to be answered! This entry was posted on February 15, 2015, 11:45 PM and is filed under Uncategorized. You can follow any responses to this entry through RSS 2.0. You can leave a response, or trackback from your own site.